This week we are honored to have a guest blog post written by nationally recognized authors Jennifer Worick and Kerry Colburn. 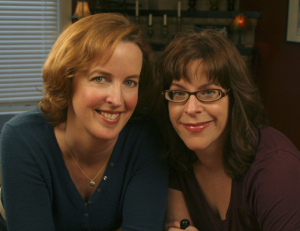 Jen and Kerry are the authors of the writer’s blog The Business of Books, which helps new and established authors traverse the treacherous waters of the book publishing business. For the last two years, Jen and Kerry have been hosting regular workshops here in Seattle, Washington that help authors with various aspects of the book business: to crafting compelling copy, to choosing a publisher, to submitting proposals and, finally, to selling your finished product. These workshops are excellent opportunities for authors overwhelmed with the process of getting published to get hands-on assistance from two successful veterans of the publishing business. For this post, they offer some basic advice on how to get your book idea published. For more in-depth information, be sure to attend their workshop on Saturday, February 9 at Hotel 1000: 30 Days to a Winning Book Proposal. Tags: 30 Days to a Winning Book Proposal, books, Hotel 1000, Jennifer Worick, Kerry Colburn, publishing, The Business of Books.